Connect to Microsoft OneDrive, Google Drive, Amazon S3 or Dropbox cloud accounts on your mobile device. CloudMounter provides an easy access to your cloud accounts. Manage Dropbox, Microsoft OneDrive, Google Drive and Amazon S3 accounts without having to sync files to your Android device. Manage Dropbox accounts on Android OS without installing or copying them on your Android gadget. Manage your OneDrive account on Android devices. Get the convenient access to clouds from your phone or tablet. Your Google Drive files will always stay with you thanks to CloudMounter. All your online data is in your pocket! CloudMounter can be a great solution for Amazon S3 users. This cloud manager is the best choice for cloud file management. 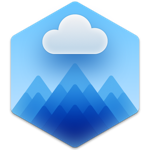 CloudMounter keeps all files in your clouds strongly protected. Encrypt Google Drive, Dropbox, OneDrive, Amazon S3 accounts and files on FTP/WebDAV servers for better security.